Sitka Sound Science Center offers one-week summer camps for kids | Get Out, Sitka! 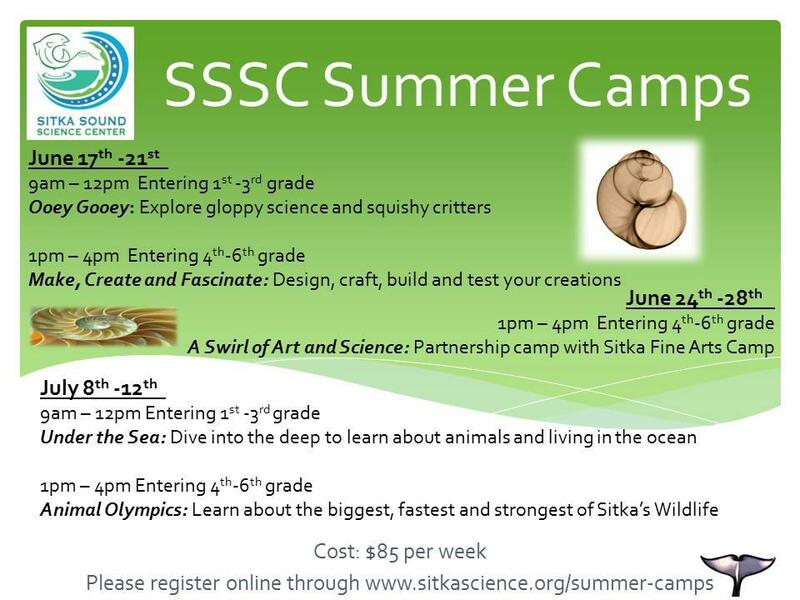 Registration is open for several one-week summer camps for kids hosted by the Sitka Sound Science Center. These camps cost $85 per week and they cover a variety of topics for students in grades 1-3 and grades 4-6 (the grade the student will enter in the fall). The cost includes a daily snack. Each camp lasts five days and meets for three hours each day. Ooey Gooey (Grades 1-3, meets 9 a.m. to noon) — Explore all things slimey, squishy and amazing, from fish and tide pool critters to paints and kitchen science. Make, Create and Fascinate (Grades 4-6, meets 1-4 p.m.) — Design and create towers, bridges and other simple machines. Building a machine can be a craft project, creating a building can be an artist work of beauty, and ingenuity is in everyone. Campers will use a variety of “ingredients” in their building and crafting. A Swirl of Art and Science (Grades 4-6, meets 1-4 p.m.) — The Sitka Fine Arts Camp is partnering with Sitka Sound Science Center for a joint camp. Visiting artist Zina Deretsky, a science and technology illustrator and board-certified medical illustrator, will be co-teaching along with Sitka Sound Science Center staff. Arts and sciences are not as different as some people think, campers will get a chance to flex both sides of their brain in this fun week of learning and creating. Under the Sea (Grades 1-3, meets 9 a.m. to noon) — Dive in to the huge variety of things found beneath the waves. Campers will build a model submersible, follow coordinates like a navigator, and learn about Sitka’s local whales, tide pools, and more. Animal Olympics (Grades 4-6, meets 1-4 p.m.) — We know that our salmon can travel long distances, but just how far is their lifetime marathon? Whales are big, but how big? What is the fastest bird? What Olympic-class gymnasts and weightlifters can be found in the wilds of Sitka? Find out. For more information and to register for the camps, click this link and use the online registration form. If you have questions, call the Sitka Sound Science Center at 747-8878. 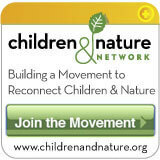 This entry was posted in Kids and nature, Outdoor programs and tagged discovery and exploration, fresh air, get more kids outdoors, Get Out Sitka!, Have you been outdoors today?, programs, recreation opportunities, Sitka Fine Arts Camp, Sitka Sound Science Center, Sitka!, summer camps, too much time indoors. Bookmark the permalink.